Many of us commented on the tidiness of Craig’s garage. Looks like something from a Home & Garden magazine. 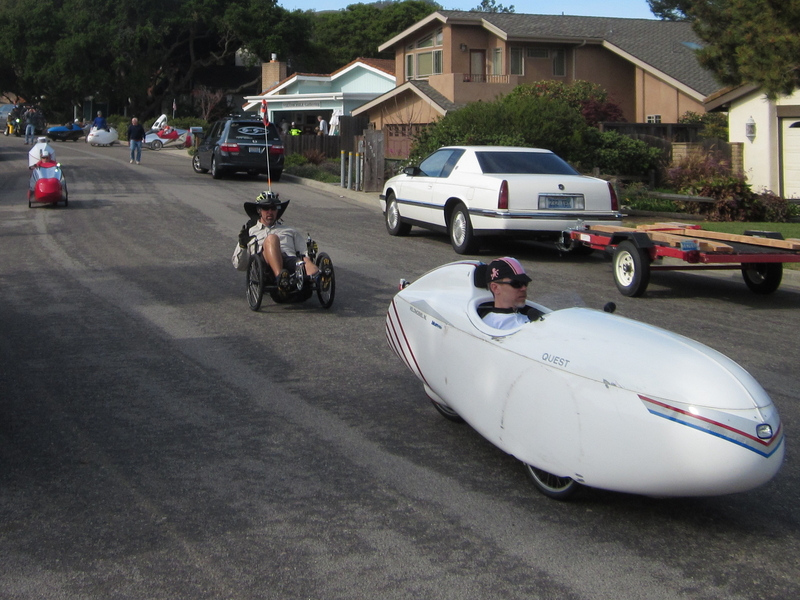 Great place to park a lot of velomobiles. When your Alleweder gets run over this is what you get to replace it. 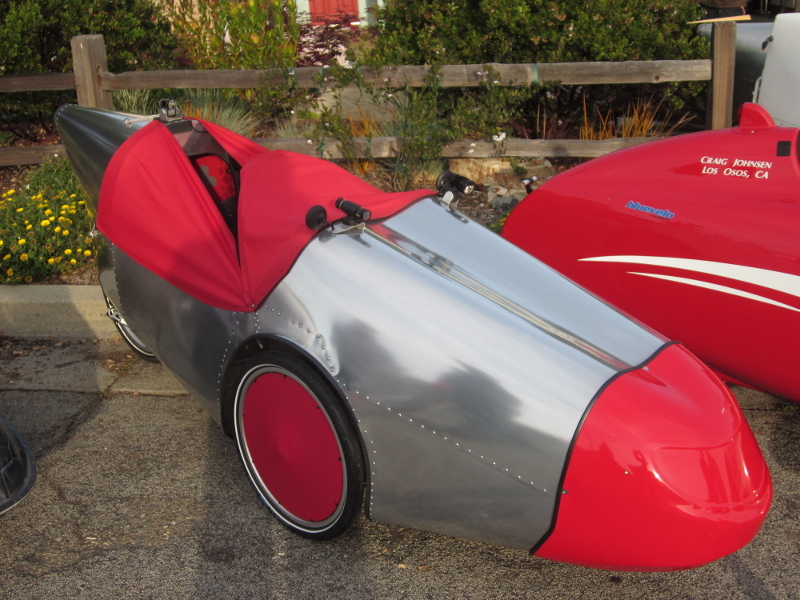 I was pleased to see this, since the top is the color of my velomobile when it arrives. My anticipation is growing. 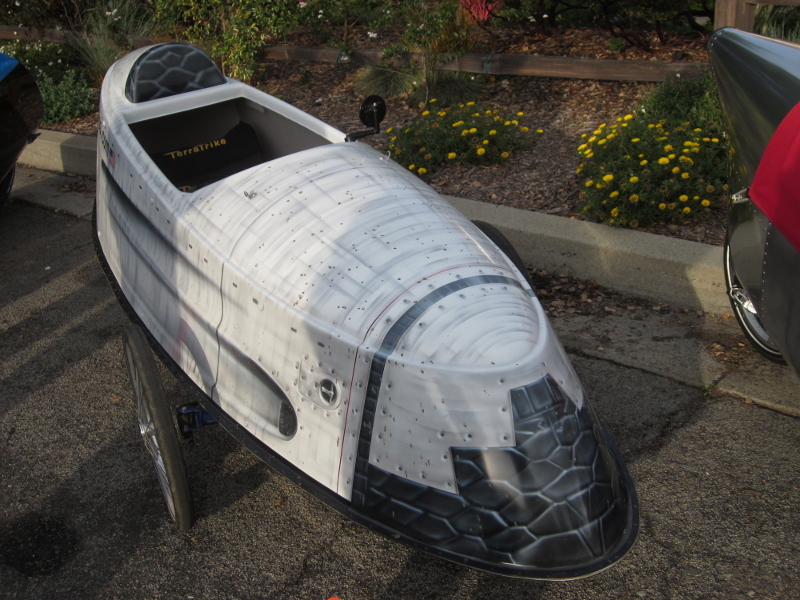 Velocity Velos Velomobile had one of the most unusual paint schemes. Real conversation starter. 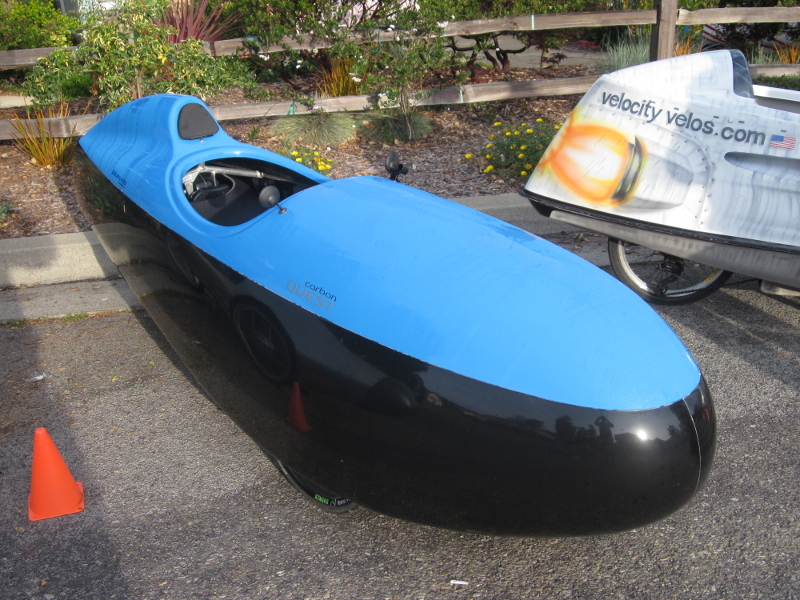 The owner of Velocity Velos was at LCVG and brought two of his along. This was the most unusual paint job. Very artistic. 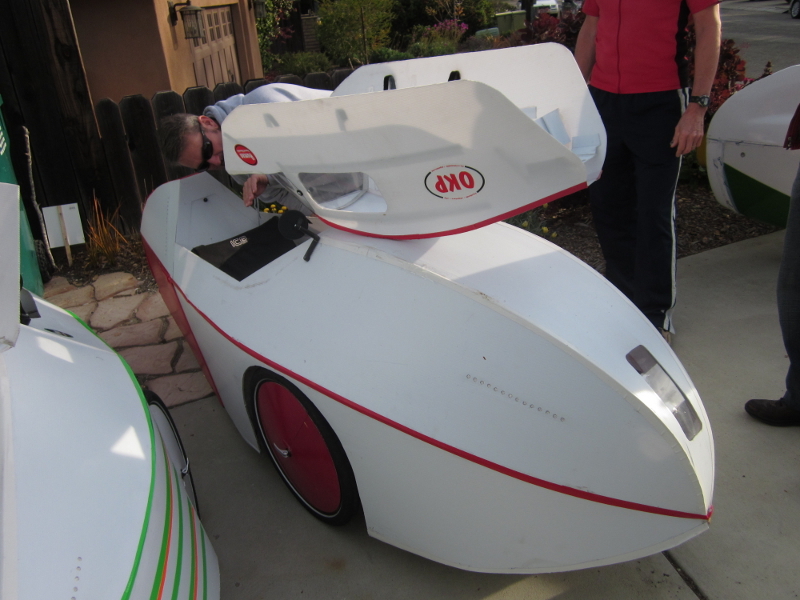 The famous Alleweder velomobile goes back to the late 80′s. For the person with lots of time, and a desire to build it himself, the Alleweder is just the ticket. There were several at LCVMG, one even has electric assist. Go-one Evo with Bionix electric assist. For Salt Lake City this is probably and ideal velo. 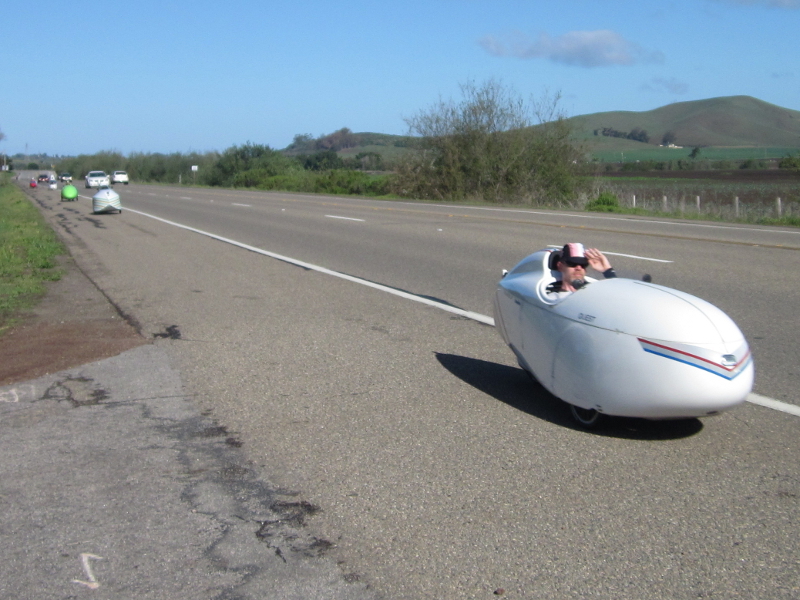 He rode most of the day with the canopy raised to allow the air to circulate. 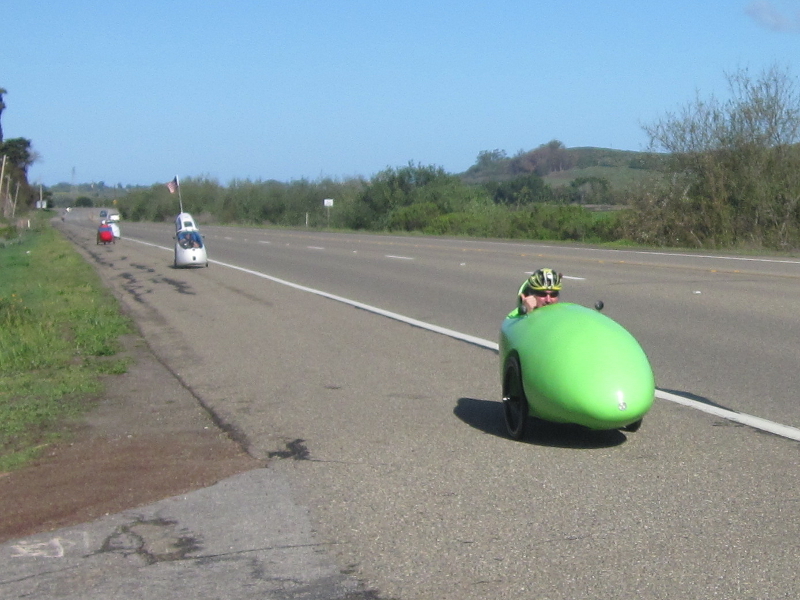 The Bionix drive means that he was out front much of the ride. 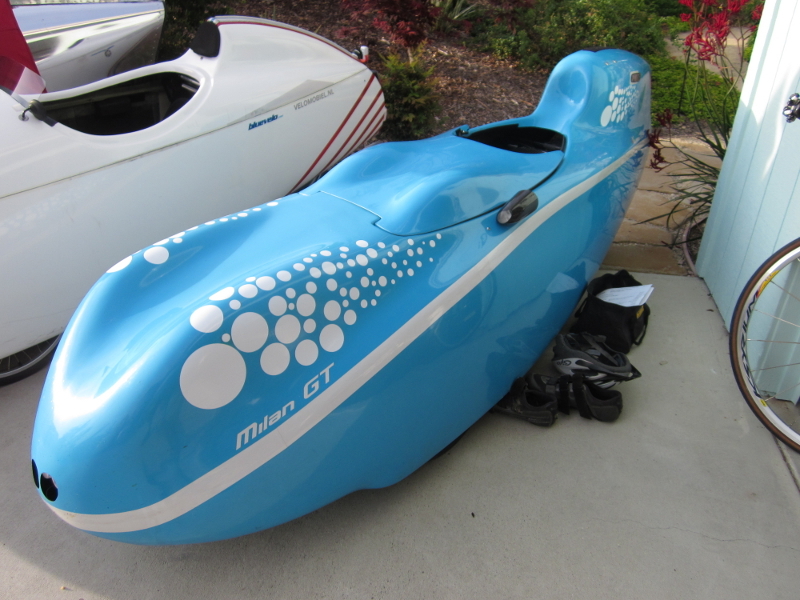 Milan GT, was a popular “test ride” for those who could get in. It’s very fast, with the right rider. You have to love the “bubbles”. 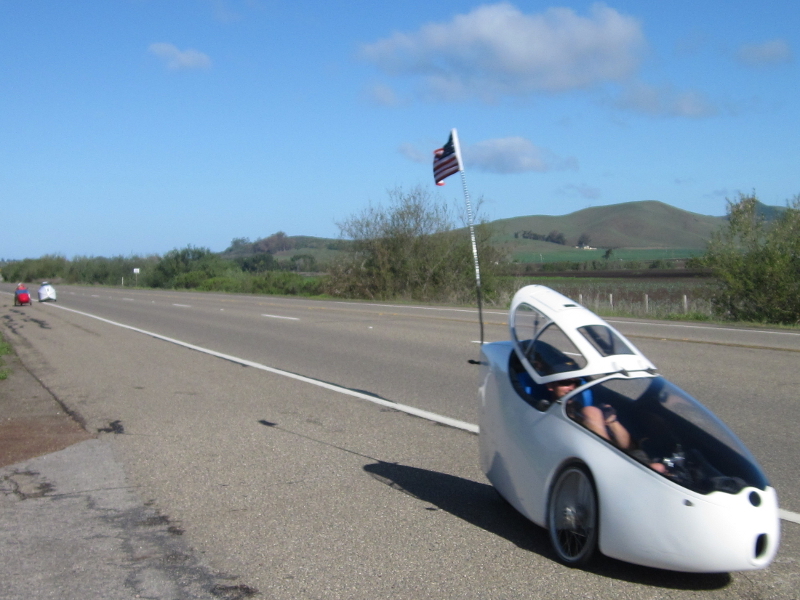 This is a very light, very tight velomobile. The suspension is very stiff. Did I mention that it’s also very fast, with a fast rider. 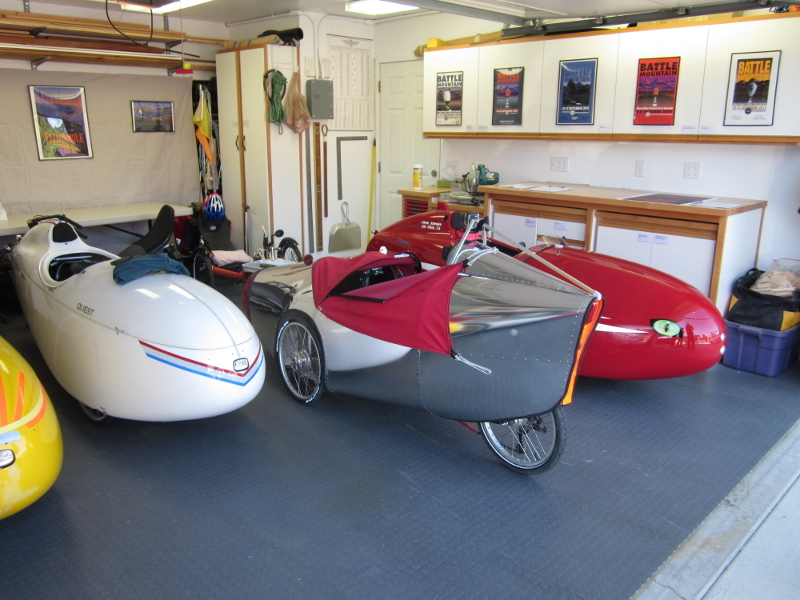 There were two homebuilt, coroplast velomobiles built over standard trikes. 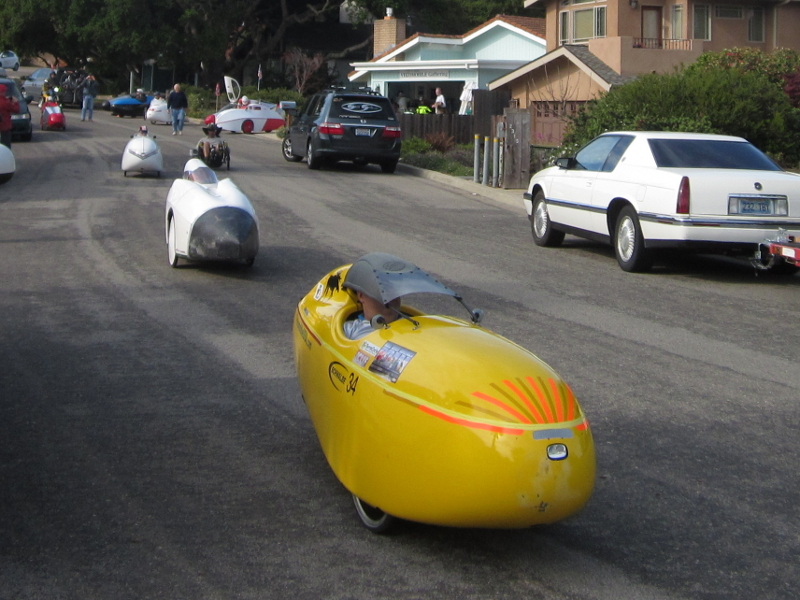 They held their own with the commercially produced velomobiles. Good entry level Velo for someone has more time than money and is handy. 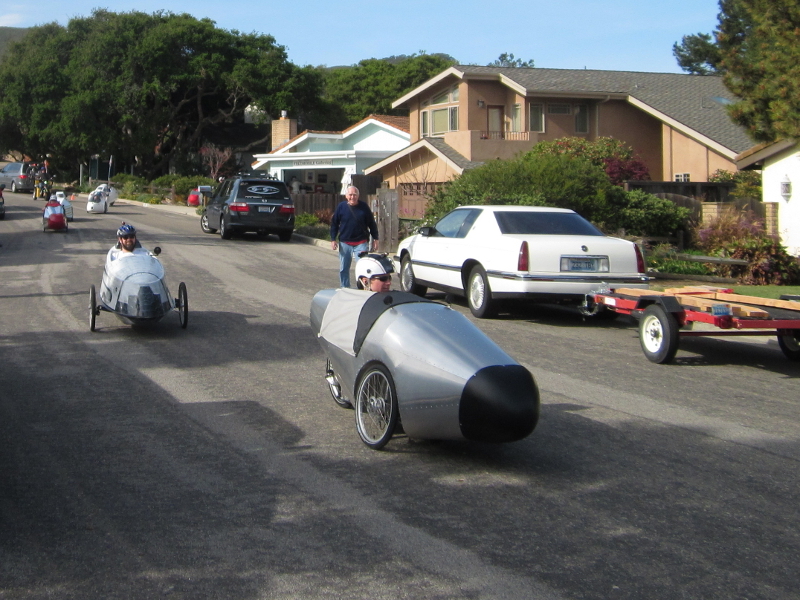 They were just as fast as the guys in the commercial velos. I venture to say they had just as much fun. Fun was had by all. Second Corplast Velo. Both bodies were built by the same person. 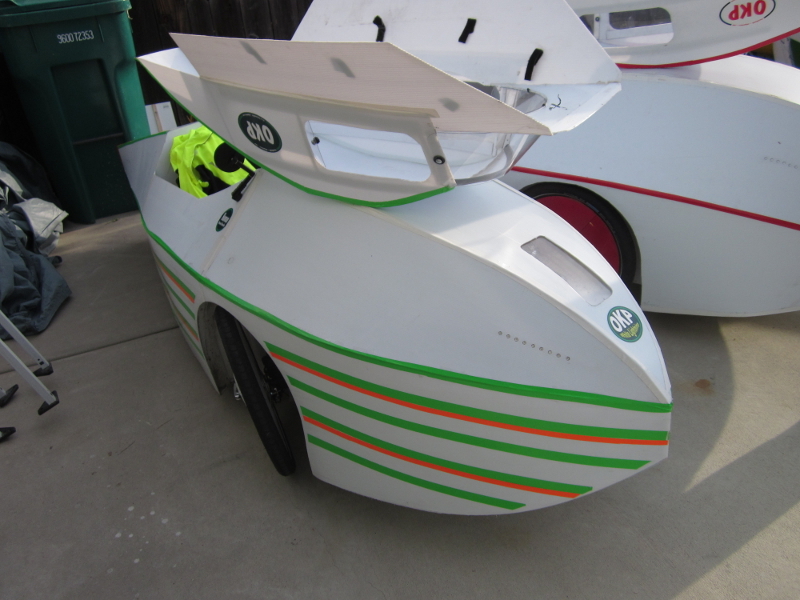 Orin built both these velos, I believe. 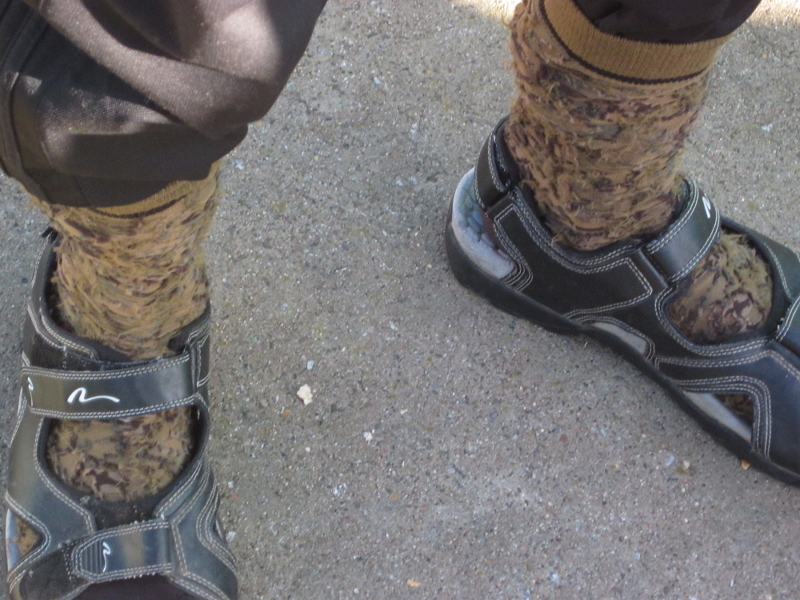 And they are works of coroplast art. How often can you say those two words together? There were all kinds of bikes. Not just Quests. The neighbors seemed to get a kick out of the whole event. I’m sure they all like Craig and Vicky. That’s just the kind of people they are. 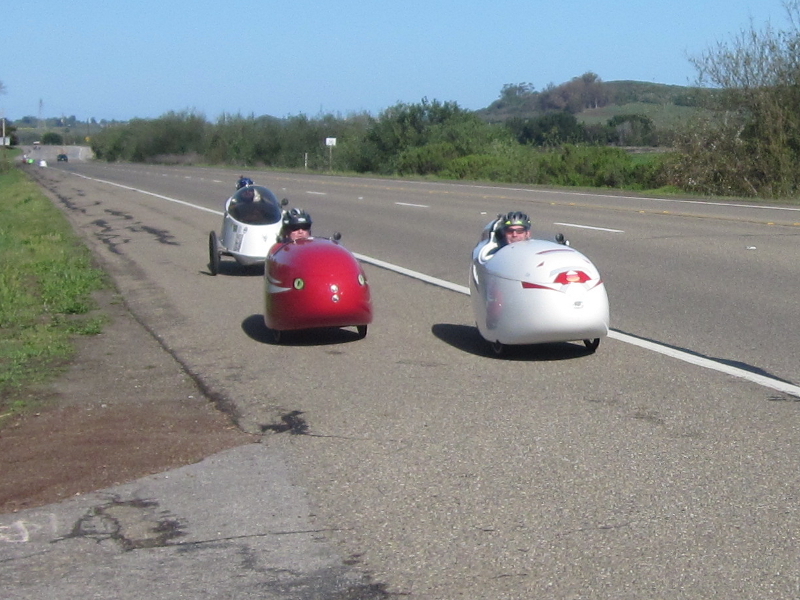 Three awesome velomobiles. Variety is good. There were several times I nearly talked myself out of going to this event. Although I didn’t sleep well either night, and it rained all night long Saturday night. I had a great time, and made memories that will last a lifetime. 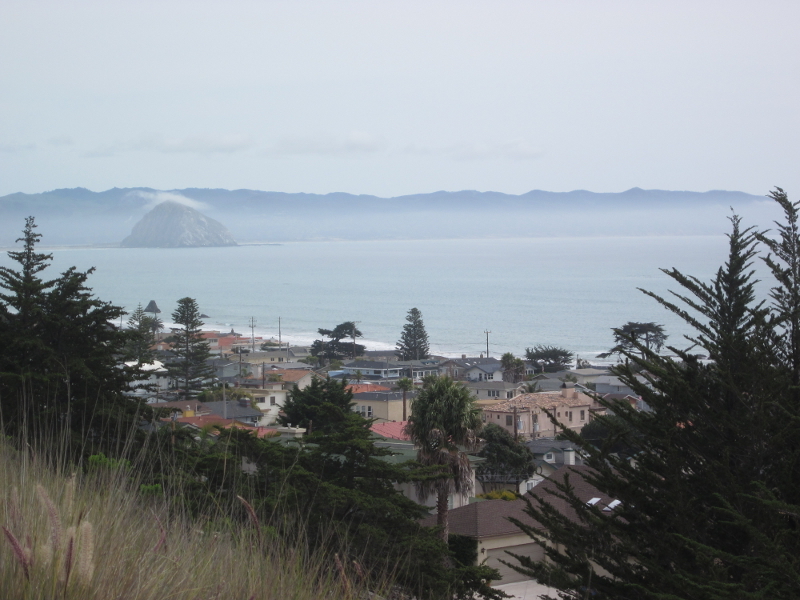 We made our own little parade through town and onto Highway 1. We made a big splash everywhere we stopped and there were always questions. 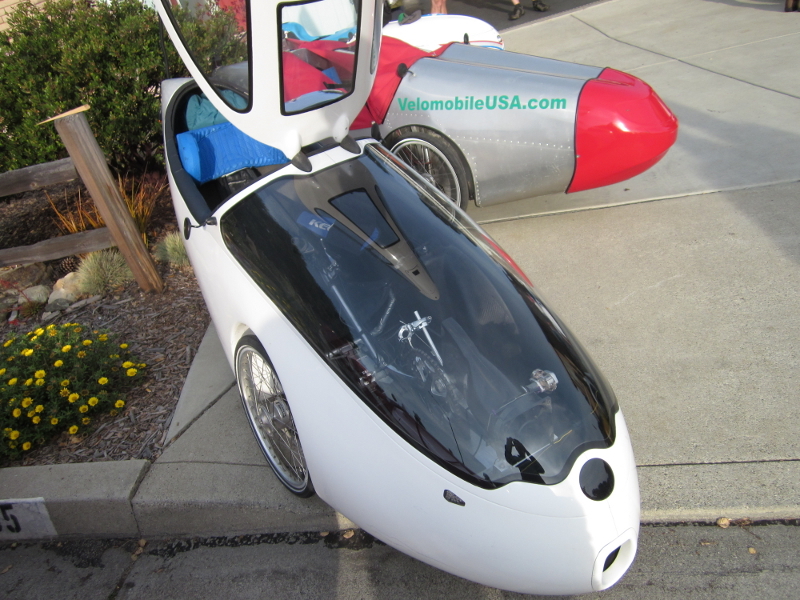 More people were exposed to velomobiles and some may become future owners. The planet and they will be better for it. 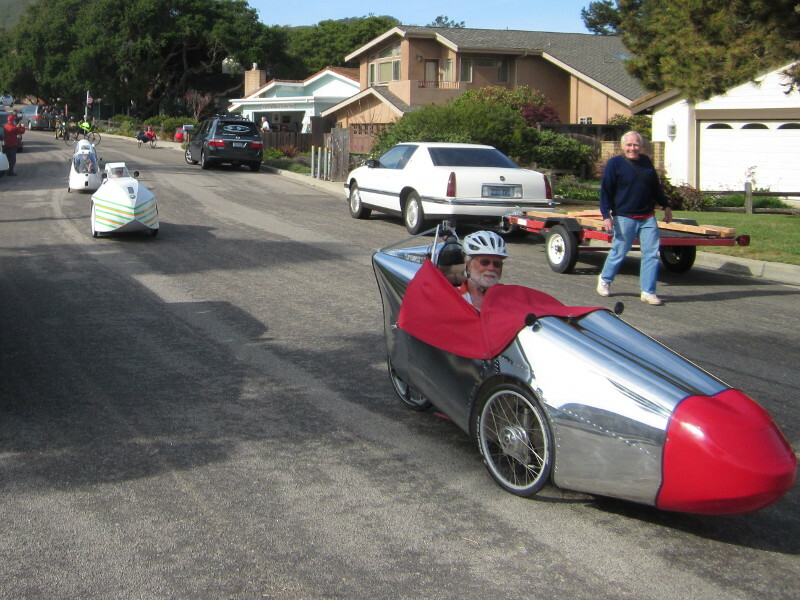 In my dreams I like to think about velomobile traffic jams in the morning commute, instead of automobile traffic jams. Two Quests and a Velocity Velo. I was headed out of town, stopped to take pictures of the Velonauts on the way. Ian was probably the youngest velonaut. 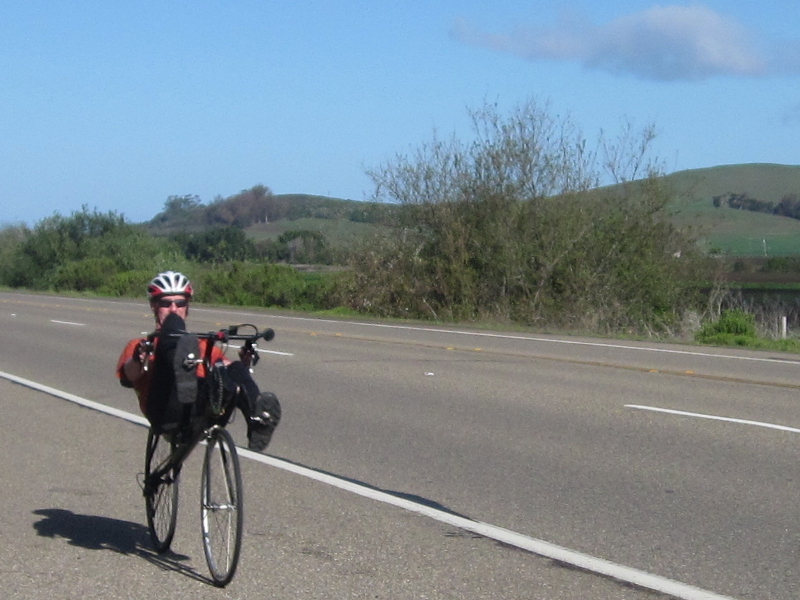 He and I crossed paths several times on the Saturday ride. This is him Sunday. 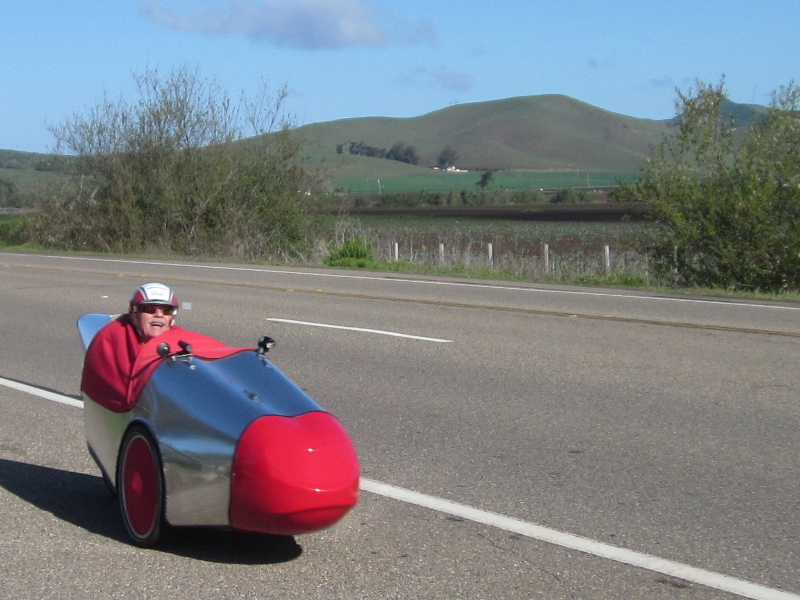 The rotovelo was a popular test ride. Almost as popular as the Milan GT. I went for a test ride. 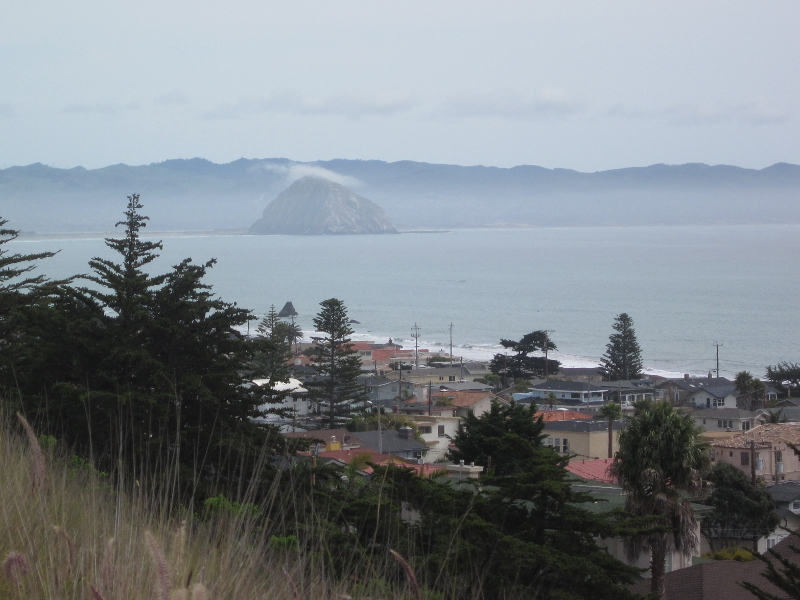 I was so fatigued by the days ride, I wasn’t able to push it hard. I’m not that big a fan of tractor steering. Just doesn’t feel like a bike to me. Pretty in polished aluminum and Red Nose. I’m looking forward to the next LCVMG when I won’t be the odd man out, riding a DF. I had a great time. Everyone made me feel welcome and I made a lot of new friends. I can hardly wait for my Quest to arrive.